It was a small window of opportunity, but Roundtop Mountain Resort's new General Manager Matthew Thomas was anxious to pull the trigger and show the loyal population of skiers and riders that he means business, and wants to get them on the snow as soon as possible. 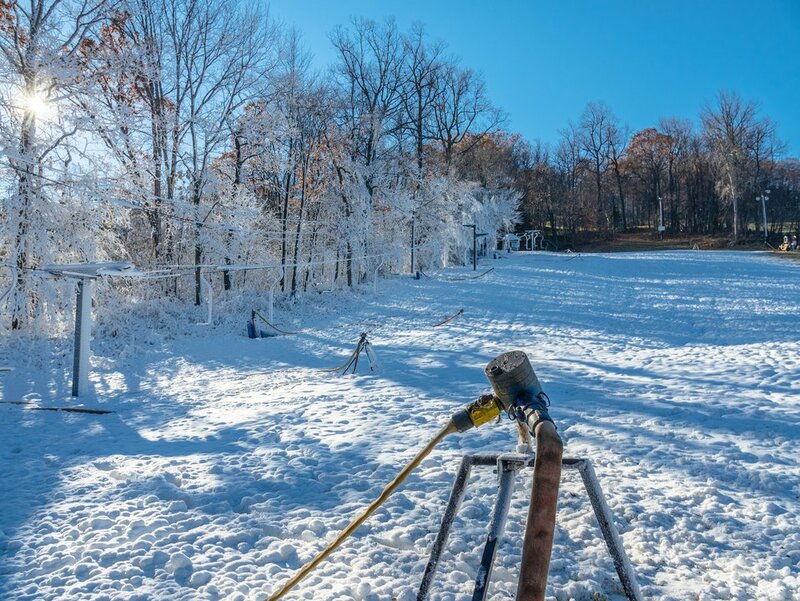 From approximately 1am-8am Wednesday, Roundtop's snow making team was able to produce a significant amount of snow while the temperatures allowed, and will have enough snow to host a hike-only rail plaza from 9am-4pm Friday, Saturday, and Sunday this weekend. This will be one of the few areas in the region that will be able to provide a terrain park for the upcoming holiday weekend. The price will be $15 for a "hike and ride" ticket, and all paid season passes will be honored. The grill will be fired up at the outdoor Smokehouse courtyard food area, with draft beers on tap as well. Stay tuned to the official Roundtop Facebook page at http://facebook.com/roundtopmtn for more details. Your 'must haves' for Opening Day this, and every other season.